All pieces are made by woodworker Jorge Castañeda in his workshop in Stonington, Maine. Jorge has over 48 years of experience building houses, boats, furniture, and turning. Originally from Mexico City, Jorge migrated to the US at age 32, at that time a photographer and film maker. He then worked as a "jack-of-all trades" all over the country, before settling in the Northeast. Jorge has always been interested in environmental issues, particularly in preserving our trees and forests. Jorge’s pictures played an instrumental role in the restoration of the (Hudson River Sloop) Clearwater. The Clearwater Organization used his photographs in a fundraising campaign to repair the ship, He organized volunteer workers and located materials for the repairs, smoothed the spars for the Clearwater's mast and boom, and repaired the Clearwater's tender, among numerous other tasks. Jorge has always had a special attraction to trees and wood. As a young adult in Mexico, he was shocked at the rate the forests were being logged without any regard to conservation, and made a promise that one day he would plant “many, many trees.” At age 48 he decided to stick to that promise and “go out and pay rent to the planet.” He joined a tree planting crew and in the winter of 1982 went south with his wife and babies to begin a new chapter in his life, with a goal of planting one million trees. After planting along the east coast, in all the states from Maine to Texas, he reached his one million goal in 1987. Ever since, Jorge has been living with his family in Stonington, Maine, in the middle of a spruce forest. He continues to plant trees and maintain the forest on his property. Jorge built the dining room at the former Goose Cove Lodge, (now The Cockatoo), and has worked on just about every building on Main Street in Stonington, as well as on numerous buildings throughout the region. 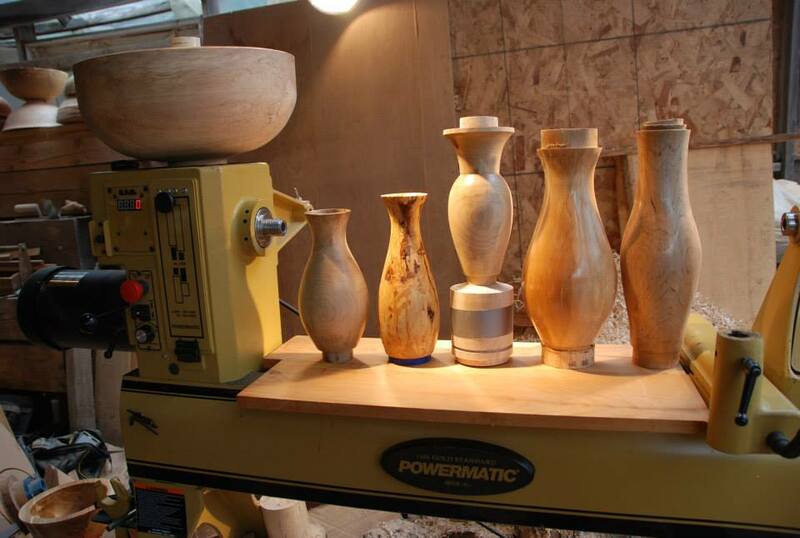 In 2006, he started to turn his woodturning hobby into a business venture, and began to sell his wooden bowls and platters. He started JC Turnings, and began to participate in local farmers markets and festivals. Jorge uses woods such as maple, birch, ash, black locust, cherry, elm, and others, harvested locally from Deer Isle and from around the state of Maine. Some woods come from other parts of the country for variety, but no imported woods are used. His aim is to use blown down, broken, or dead trees when possible, and turn them into something beautiful and functional. Pieces are designed to make the unique patterns, colors, and forms of each piece of wood shine. JC Turnings is based in Deer Isle-Stonington, Maine, where Jorge has lived for 39 years. Stonington is a small, unique island fishing community located on the island of Deer Isle on the coast of Maine. The main industries are fishing and tourism. The island has a large population of visitors in the summer and the economy is largely seasonal. However, there is a growing network of small year-round businesses being run by local community members, and JC Turnings hopes to be able to produce and sell year-round, and contribute to the growing island economy. 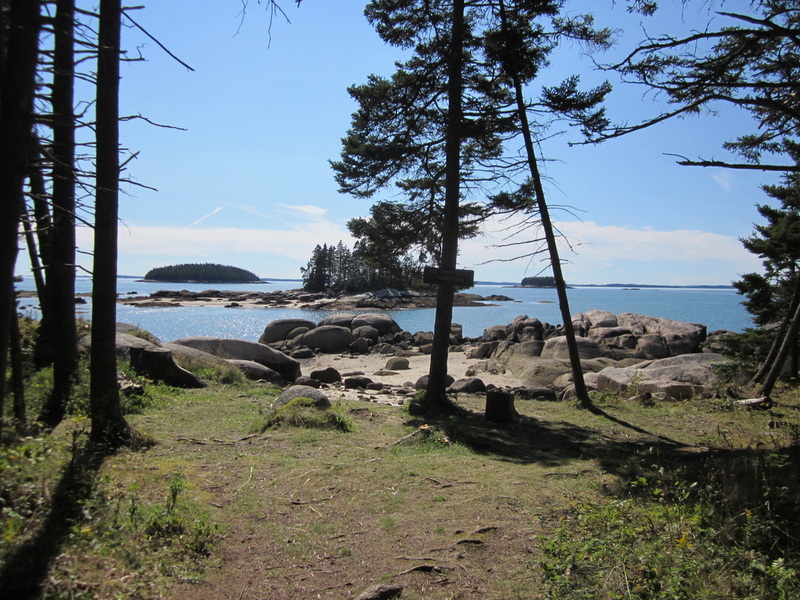 If you happen to be in coastal Maine, take a trip to Stonington, visit the Stonington Farmer's Market, support the local businesses, and enjoy the stunning scenery.